Executive Package, Universal Remote Control, Lumbar Support, Adaptive Headlights, Head-Up Display, Harman/Kardon Sound System Premium Package, *Heated Steering Wheel, Alarm System, Comfort Access, Rear View Camera, Auto Dimming Exterior Mirrors, Through Loading System, Park Distance Control, Front and Rear, SiriusXM Satellite Radio Tuner Brushed Aluminum Trim, Jet Black Black Dakota Leather w/ Exclusive Stitching Craig Royer at 587-930-3931 Call or Text craig.r@bavariabmw.ca This vehicle is fully inspected, plus we offer a variety of options to extend warranty coverage, and financing is available OAC. Listed price subject to applicable fees and taxes, we are an AMVIC licensed dealer. 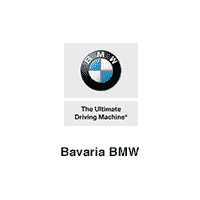 For more info, to set up a test drive, or to get pre-approved credit, email info@bavariabmw.ca or call Craig Royer at 587-930-3931 Call or Text craig.r@bavariabmw.ca Take one superior driving sport sedan, fit it with an all-wheel-drive system and you have something that can be driven on any reasonably maintained road 12 months out of the year. The BMW 3-Series has rightfully earned its place among the top of sport sedans since it was introduced thanks to competent moves and thrilling performance. And while BMW has made a tremendous effort to increase the efficiency of its powertrains, the 3-Series thankfully hasn't lost any of its sharp driving character. No Charge Scheduled Maintenance 4yr/80k Premium Package, Alarm System, Universal Remote Control, Comfort Access, Rear View Camera, Auto Dimming Exterior Mirrors, Lumbar Support, Park Distance Control, Front and Rear, Adaptive Headlights, BMW On-Board Navigation, SiriusXM Satellite Radio Tuner, Harman/Kardon Sound System ConnectedDrive Services Prof w/ ARTTI *BMW Online, Advanced Real Time Traffic Information, Concierge Services, Remote Services, Internet, Convenience Telephony w/Smartphone Connectivity M Performance Package, *M Sport Brakes, Adaptive M Suspension, Variable Sport Steering, High Speed Maximum w/ Perf. Tires Craig Royer at 587-930-3931 Call or Text craig.r@bavariabmw.ca This vehicle is fully inspected, plus we offer a variety of options to extend warranty coverage, and financing is available OAC. Listed price subject to applicable fees and taxes, we are an AMVIC licensed dealer. For more info, to set up a test drive, or to get pre-approved credit, email info@bavariabmw.ca or call Craig Royer at 587-930-3931 Call or Text craig.r@bavariabmw.ca The well-sorted chassis is a blast to pilot through corners, exhibiting wonderful composure with lots of grip and little body roll. Steering feels direct, well-weighted and is communicative through the thick-rimmed M wheel. The turbocharged inline six-cylinder has strong midrange pull, while the M Sport brakes easily slow things with a pedal that offers good modulation ability of stopping power. The interior is excellent. It's a simple design that isn't incredibly boring or overdone. The important thing is that the sport seats feature decent side support and there are enough adjustment ability to easily find a comfortable seating position behind the wheel. Driver Assistance Package, High-Beam Assistant, Active Blind Spot Detection, Driving Assistant, Surround View Premium Package *Heated Steering Wheel, Alarm System, Comfort Access, Rear View Camera, Auto Dimming Exterior Mirrors, Through Loading System, Park Distance Control, Front and Rear, SiriusXM Satellite Radio Tuner Storage Compartment Package Convenience Telephony w/ Smartphone Connectivity Black Sapphire Metallic Black Dakota Leather Craig Royer at 587-930-3931 Call or Text craig.r@bavariabmw.ca This vehicle is fully inspected, plus we offer a variety of options to extend warranty coverage, and financing is available OAC. Listed price subject to applicable fees and taxes, we are an AMVIC licensed dealer. For more info, to set up a test drive, or to get pre-approved credit, email info@bavariabmw.ca or call Craig Royer at 587-930-3931 Call or Text craig.r@bavariabmw.ca Take one superior driving sport sedan, fit it with an all-wheel-drive system and you have something that can be driven on any reasonably maintained road 12 months out of the year. The BMW 3-Series has rightfully earned its place among the top of sport sedans since it was introduced thanks to competent moves and thrilling performance. And while BMW has made a tremendous effort to increase the efficiency of its powertrains, the 3-Series thankfully hasn't lost any of its sharp driving character.